Dec 9, 2018 Several new changes throughout. Dec 19, 2017 A new version has been posted, now under the xfinity domain. This version has been updated silently, without a change to the posted "last modified" date. This means that without ParanoidPaul, you wouldn't have known the document was updated! The date displayed for this row is when ParanoidPaul detected the change. Apr 2, 2016 Two new "opt out" links have been added. This version has been updated silently, without a change to the posted "last modified" date. This means that without ParanoidPaul, you wouldn't have known the document was updated! The date displayed for this row is when ParanoidPaul detected the change. Mar 26, 2016 The changes published on March 4th 2016 have been reverted. This version has been updated silently, without a change to the posted "last modified" date. This means that without ParanoidPaul, you wouldn't have known the document was updated! The date displayed for this row is when ParanoidPaul detected the change. Mar 4, 2016 Two new "opt out" links have been added. This version has been updated silently, without a change to the posted "last modified" date. This means that without ParanoidPaul, you wouldn't have known the document was updated! The date displayed for this row is when ParanoidPaul detected the change. Nov 5, 2015 The "ONLINE TRACKING POLICY" section has been updated. Jan 13, 2014 This is the initial version that ParanoidPaul captured. It is not necessarily the first version of the document. Comcast collects the following types of data from users of this website:the Websites: (1) the data visitors and users voluntarily submit (such as through order forms to purchase products and services, or by providing an e-mail address or other contact information to receive newsletters,newsletters and other information, for example); and (2) connection, activity, and usage data, which Comcast records when visitors and users navigate to and around this website.the Websites. Some of this data is personal data that identifies a particular person like an e-mail address or telephone number. But most of this data is not personal and identifies connections and devices by, for example, by Internet protocol addresses and cookies. If	We collect data when: (1) you initially purchase productsprovide information to us, such as your e-mail address, so that we can send you press releases and newsletters; or (2) you use the Websites to learn more about services on www.xfinity.com,availability in your area, or to consider or make a purchase. The information we collect includes: your first and lastfull name, e-mail address, street address, zip code, and phone number. We may also collectnumber, and payment card data andor other financial account data. When you are considering a purchase of some Comcast services, we may also ask foryou to provide your social security number in order to run a credit check. On other Comcast websites, we only request your e-mail address so that we can send newsletterscheck or to you.complete a purchase. Comcast uses collected data, including personal data, to determine which products and services to offer to you and on what terms. This data also helps us to offer you more personalized features, complete the particular function of the websiteWebsites you are using, and tailor the websiteWebsites to your interests to make itthem more useful to you. We also use your personal data to fulfill your orders for products and services. Whenever you provide personal data through this website,the Websites, Comcast will use that personal data for: (1) the purposes we disclose on the website when Comcast asks you to submit the data (such as, for example, to process your purchase of a new subscription to Comcast’sComcast's services or to send you e-mail newsletters); or (2) to send you marketing communications, promotions, or other communications about Comcast’sComcast's products and services, and to serve you advertisements about Comcast's products and services on the Websites and other websites and services, including on third party websites and services. 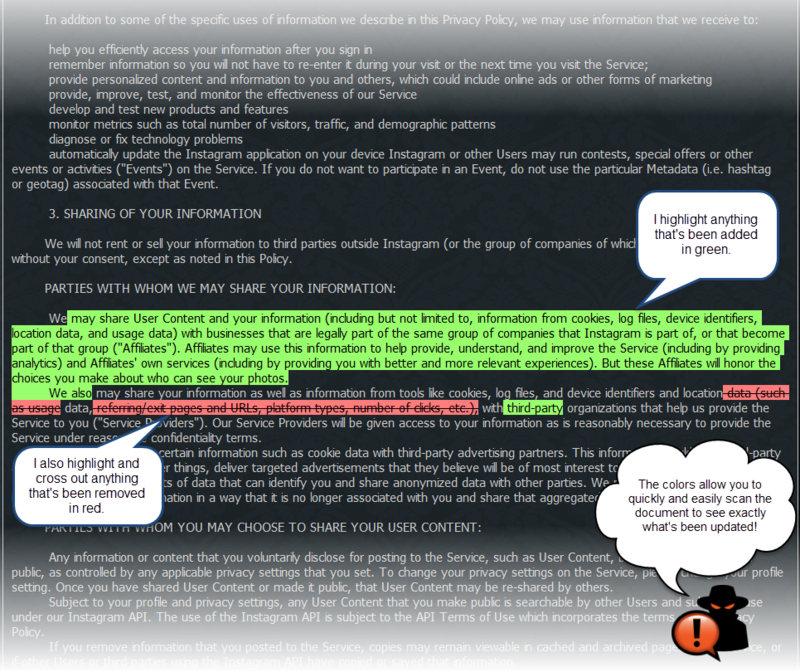 Comcast considers the personal data it collects on this websitethe Websites to be confidential. Comcast may sometimes provide personal datauses third parties to its affiliates orassist us in delivering the Websites to third-party service providers that help Comcast provide this website to you. When Comcast shares personal datayou, such as hosting, technical integration, marketing, analytics, customer service, and fraud protection providers. We may share portions of the information we collect with these third parties, it requiresto the extent necessary for them to provide these services. These companies are acting on Comcast's behalf and are required, by contract with Comcast, to keep personal datathis information confidential and are only authorized to use the data only to provide the services to which you subscribe and to provide supportit for this website.specific purposes. Comcast may be required by law or legal process to disclose certain personal data to Comcast’sComcast's lawyers, to third parties in connection with litigation, or to law enforcement personnel. Comcast will disclose personal data in compliance with applicable laws. We may provide this information without your consent and without notice to you when we are required to do so in order to comply with a valid legal process such as a subpoena, court order, or search warrant. As described in more detail below, Comcast may provide non-personal data to third parties that deliver ads on the Website to you on Comcast's behalf. They may also deliver ads on the Website to you on behalf of other brands that partner with Comcast and who, like Comcast, use the Adobe Experience Cloud. You may opt-out of these uses of non-personal data as explained in the "Cookies and Site Analytics" section below. Comcast will not provide your personal data to these advertisers unless you provide any required consent for us to do so. Comcast and its service providers use technologies such as cookiescookies, beacons, tags, scripts, and similar methods to collect information on this website.the Websites. A cookie is a small file stored on your computer or device that is used by your browser or Adobe Flash Player, for example. Cookies enable Comcast to perform various functions on this website,the Websites, such as to track the number of visitors to the website,Websites, analyze how well our website isWebsites are performing, make sure this website isthe Websites are running properly, and to allow you to use the shopping cart when you order products and services. You can control most cookies and similar technologies through your browser by adjusting its privacy and security settings. If youHowever, if your web browser is configured to block or restrict cookies, you may still access the Websites, but some functionality on this websitethe Websites may not work properly. We may also use software technology on this website called clear gifs or pixels (sometimes referred to as "web beacons") to help us collect data about user activity. Clear gifs are tiny graphics with a unique identifier, similar in function to cookies. In contrast to HTTP cookies, which are stored on a user's computer hard drive, clear gifs are embedded invisibly on web pages and are about the size of the period at the end of this sentence. By accessing the Websites and navigating through them, you consent to Comcast setting cookies and using beacons, tags, pixels and scripts created by Comcast and by third parties. The World Wide Web Consortium (W3C) currently is engaged in a processWebsites comply with the applicable rules of the Digital Advertising Alliance (DAA) and Interactive Advertising Bureau (IAB) self-regulatory programs. If you are accessing the Websites from the United States, the DAA program permits you to develop a “Do Not Track” Standard. Comcast’sopt out of receiving certain targeted advertising and device tracking from participating companies. Go to the Advertising page at http://my.xfinity.com/adinformation/ and select the Ad Choices icon to make your opt out selections. If you are accessing the Websites from the European Union, go to http://www.youronlinechoices.com to opt-out of receiving certain targeted advertising and device tracking from companies participating in the European advertising self-regulatory programs. Making opt-out selections by using the websites dooffered by these self-regulatory programs does not currently respondprevent you from being served with advertising. You will continue to “Do Not Track” signals sentreceive ads from browsers. third parties, but the ads will not be targeted to you based on cookies or other technologies being set on your computer. As a result, ads that you see may not be as relevant to you. MARKETING	We (and some of our partners who may advertise on the Websites) also use the Adobe Experience Cloud to personalize and improve the performance of our websites, apps, social networking pages, and marketing messages. If you do not wish for your information to be used as part of this program, you can opt-out at https://www.adobe.com/privacy/opt-out.html. Comcast,	We may collect data when you access the Websites on a particular browser or its third partydevice. We then may connect this data to another computer or device that you are using to access the Websites in order to provide you with a consistent experience. Sometimes Comcast offers different subscription plans in different areas of the country for our products and services. When you visit the Websites, we may use the Internet protocolIP address associated with your computer for purposes of determiningto determine your approximategeneral geographic location; (ii) the type of web pagelocation so that is being displayed, such aswe can show you offers for products and services available in your region. When you are interested in a page about Xfinity Internetspecific product or a page about Xfinity Mobile;service, we may also ask you to enter an address or (iii) the content on the page that is shown. This activity automatically applieszip code to all users anddetermine exactly which offer, product, or service is purely contextual, so it cannot be customized or managed by individual users.available to you. Sometimes Comcast offers different subscription plans in different areas of the country for our products and services. When you visit this website, we may use the IP address associated with your computer	The World Wide Web Consortium (W3C) established a process to determine your general geographic location so that we can show you offers for products and services available in your region. When you are interested indevelop a specific product or service, we may also ask you to enter an address or zip code to determine exactly which offer, product, or service is available"Do Not Track" Standard. Comcast's Websites do not currently respond to you. "Do Not Track" signals sent from browsers. If you have submitted personal data on Comcast’sComcast's investor information page at www.cmcsa.com/alerts.cfm?www.cmcsa.com/alerts.cfm to receive alerts and information, you may visit that page to update or edit your personal data. Comcast does not knowingly collect personal data from anyone under the age of 13 through thisthe Websites website, and this website isthe Websites are not directed to children under the age of 13. Children should always get permission from a parent or legal guardian before sending any information about themselves (such as their names, email addresses, and telephone numbers) over the Internet, to Comcast, or to anyone else.